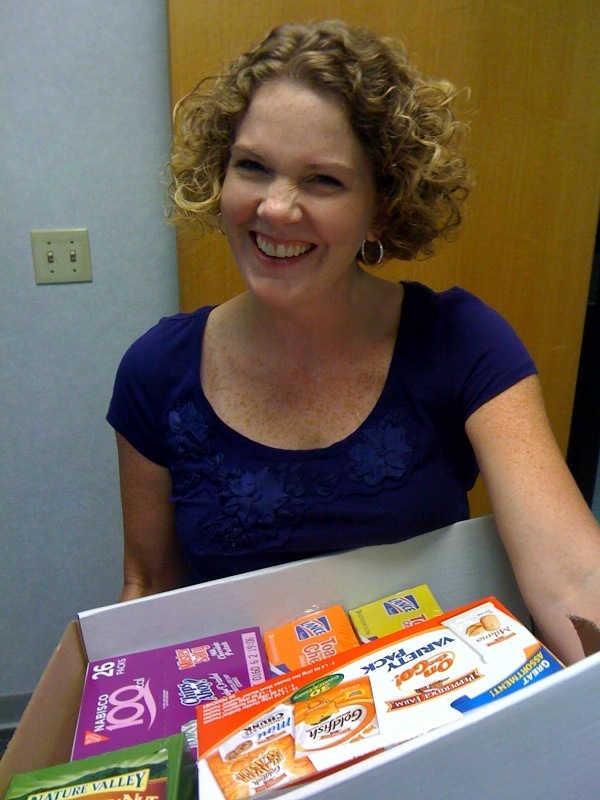 My friend, Julie, came in my office on Monday afternoon around 3 p.m. cracking up. She said that she had gone to Costco to buy food for an office event and she was carrying it in to work that morning and everyone was giving her strange looks. She couldn't figure it out. And on top of the strange looks, everyone seemed to be wanting a peak into the box as she walked through the building. Then around 3 on Monday she turned around and happened to look at the side of the box. No wonder everyone was giving her strange looks. I'm not sure if it's the 'allmax', 'elongated' or 'slow closing' word(s) that are the most troublesome. 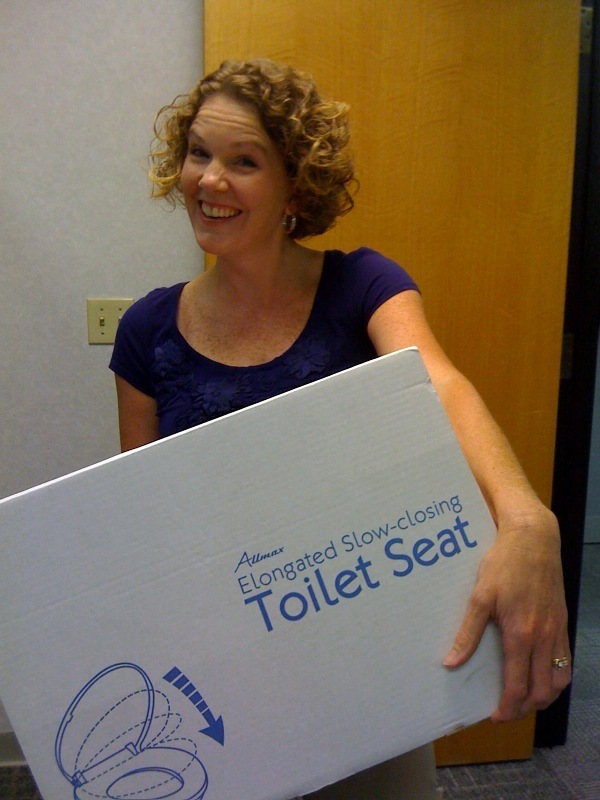 I immediately noticed the empty and discarded box in the hall and ask her...'Who needs a new toilet seat for their office?' Then she told me the story....I immediately asked her if GrahamCraka took pix....thinking this was clearly worth a blogspot. I'm glad that you, as my friend, can find the humor in this also! What else can we do but laugh.